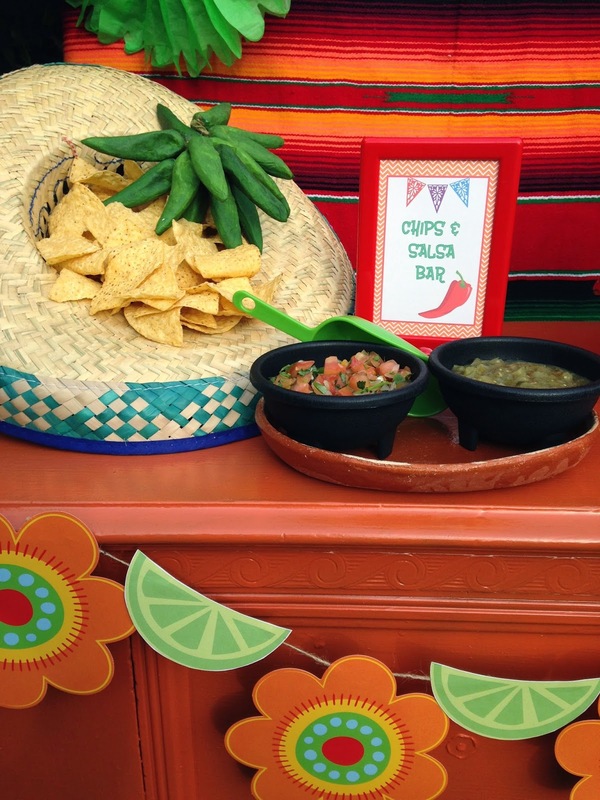 Are you in the mood for a Fiesta?! 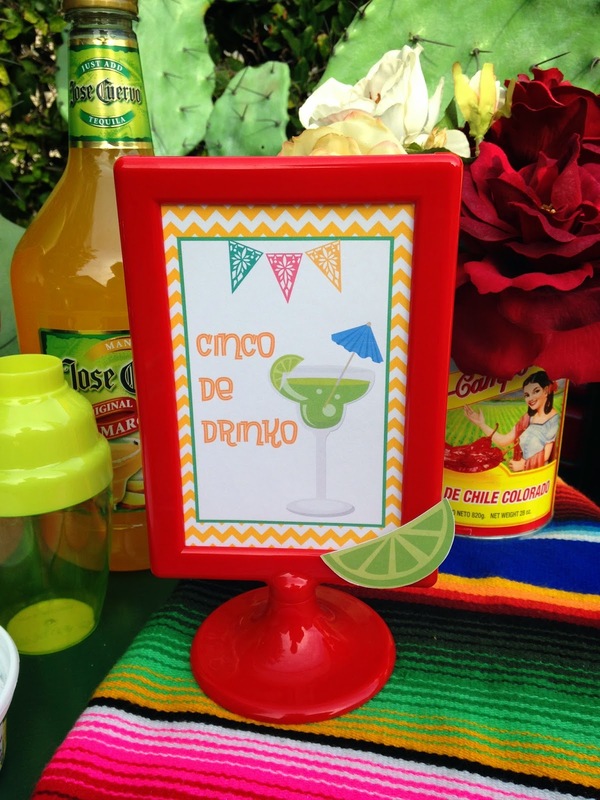 Cinco de Mayo is right around the corner! 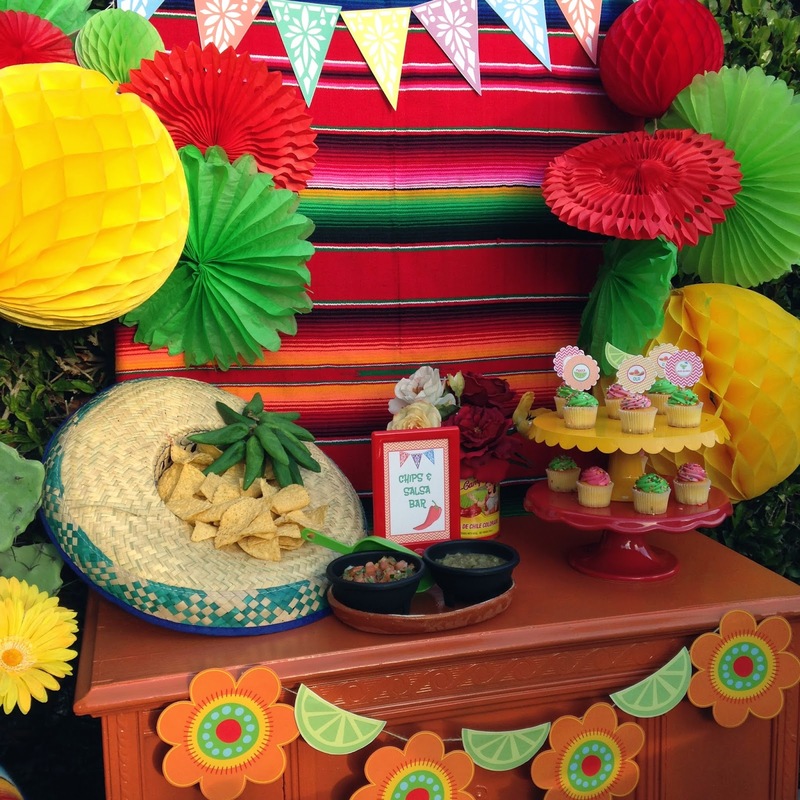 I created a fun fiesta that is full of ideas that will make you say, "Ole!" 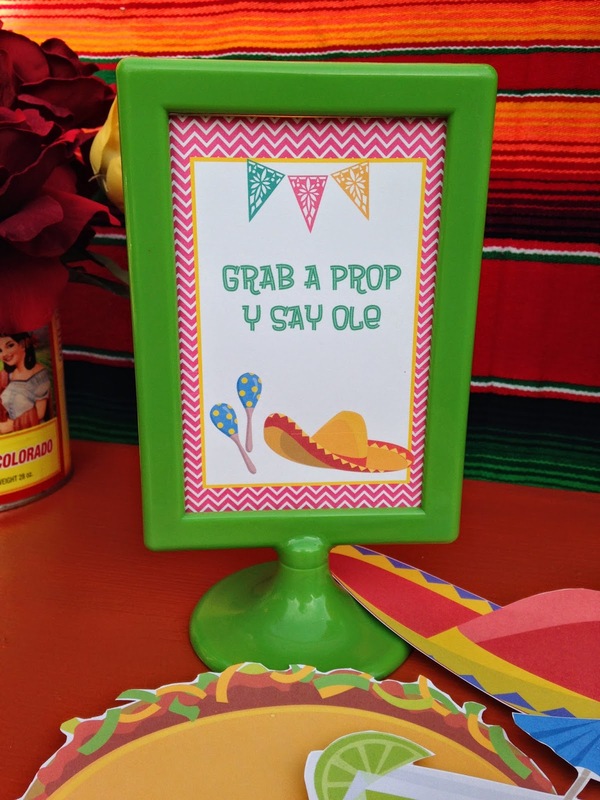 The muy fabuloso printables were created especially for my fiesta, by the very talented Lisa, from the Sweet Pop Studio! 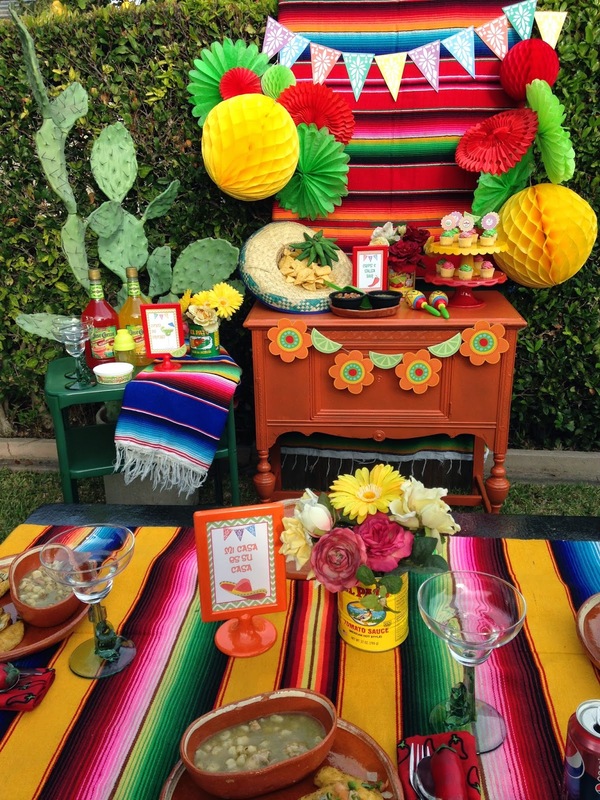 My backdrop consisted of a Mexican serapi. I then added big yellow tissue balls, and tissue fans in green & red. I clustered them together, and hung them on both sides. 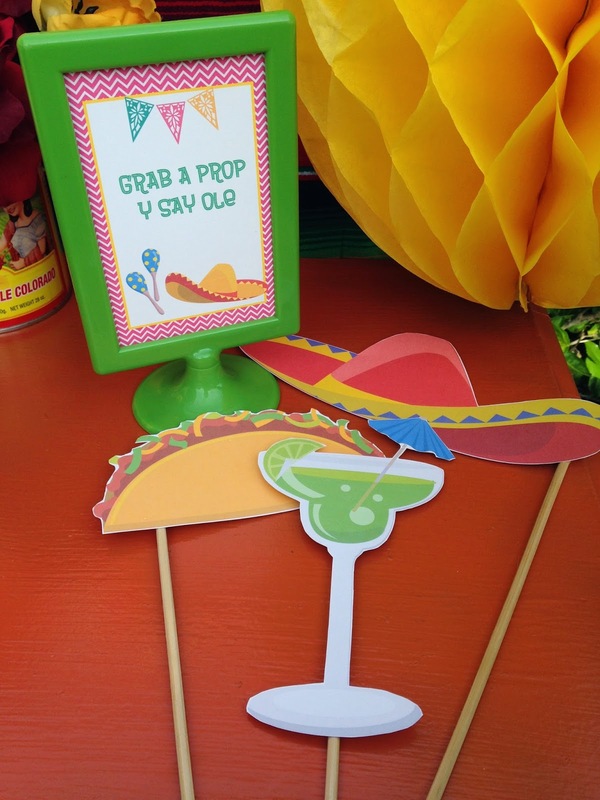 With all the fun printables from Sweet Pop Studio, I made banners for my dessert table, party favor tags, cupcake toppers, mini table signs, and photo booth props. 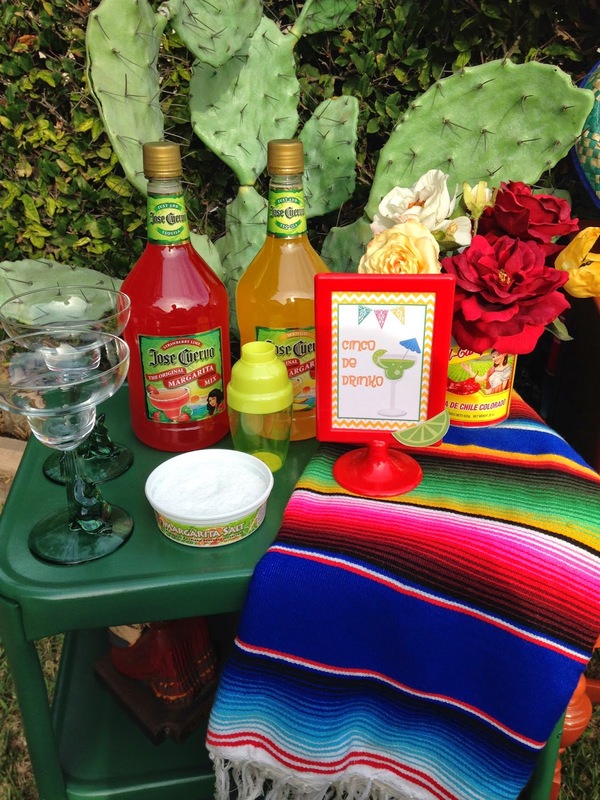 I served strawberry & mango margaritas on my favorite drink cart. I spray painted it green to tie in with my theme. 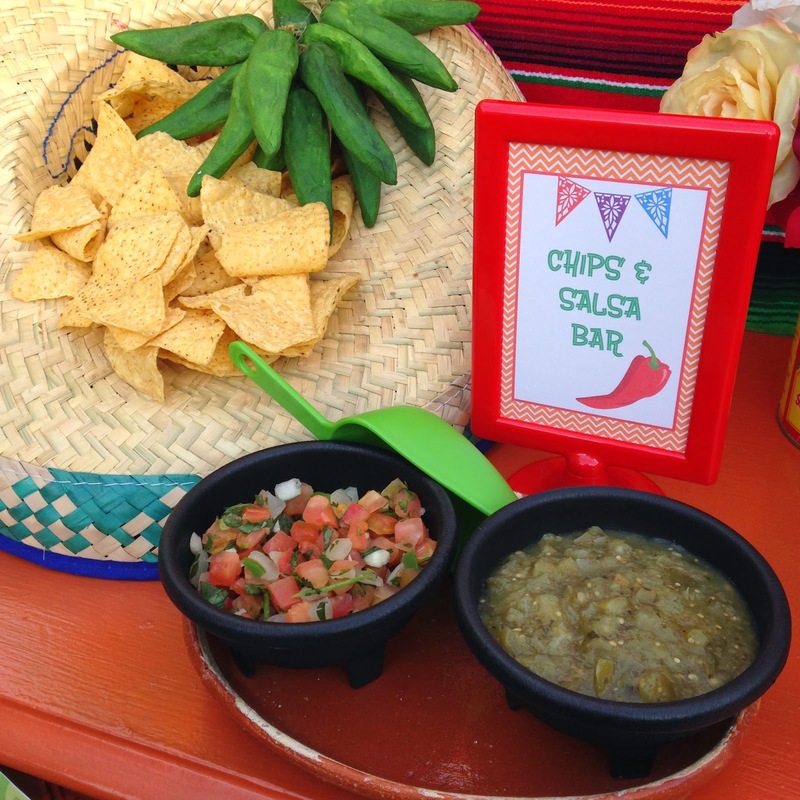 I displayed chips inside of a sombrero, with two kinds of salsa, and little cupcakes with festive toppers were for dessert. 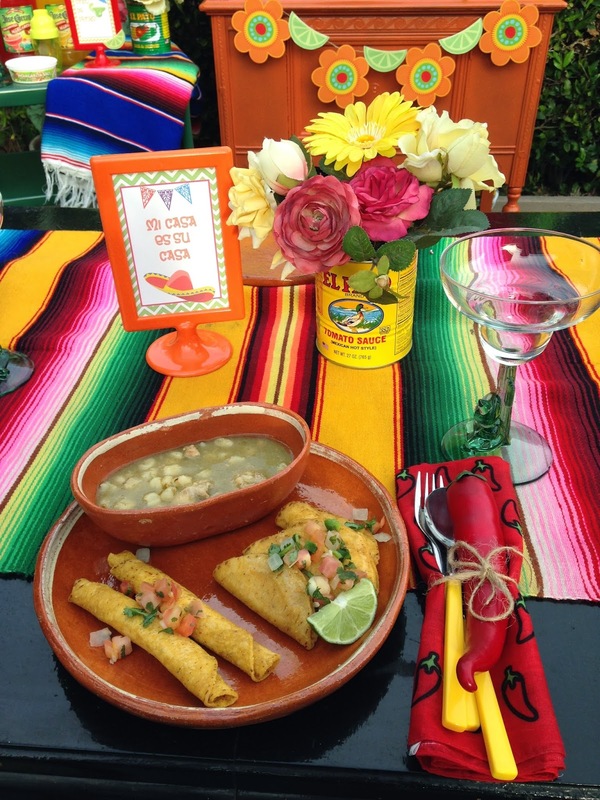 On my table, I served taquitos, mini tacos, and chicken pazole. I used a serapi as a table runner. I added flowers inside of used chili cans, and served our meal on earthenware. I wrapped the eating utensils inside cloth chili napkins, added a chili pepper, and tied it all with twine. All my girlfriends enjoy a cocktail, or two. I made sure I sent them home with a little something fun for them to enjoy for later. 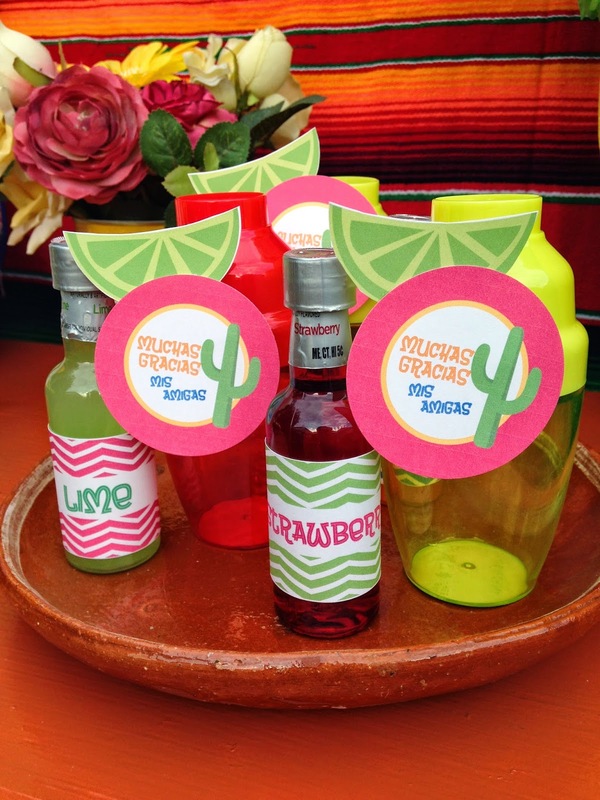 Each guest received mini bottles of margarita mix, and little shaker bottles. 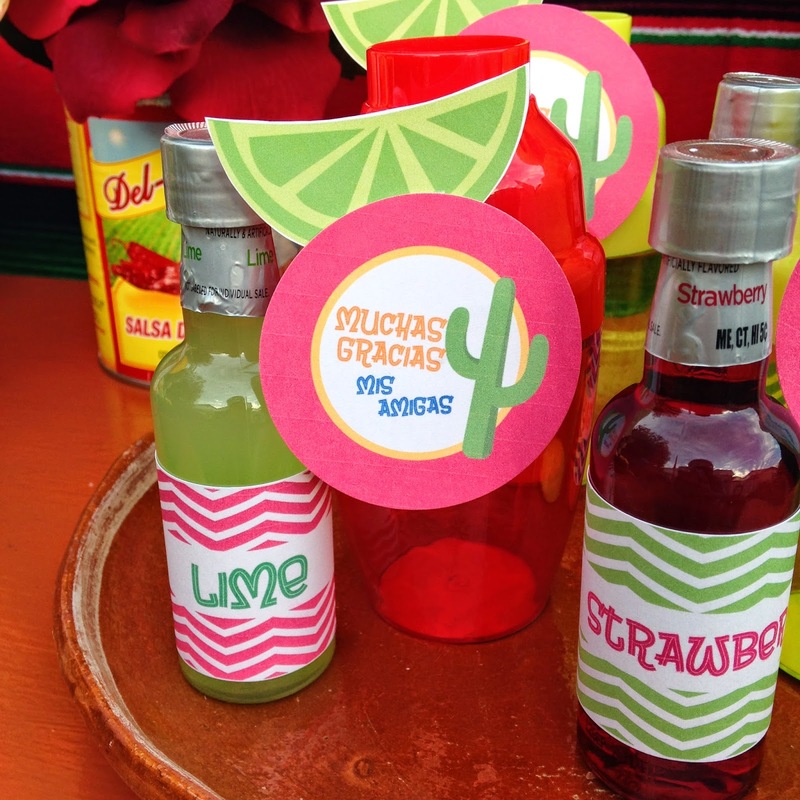 I attached a “muchas gracias mis amigas” favor tag, and cut out a paper lime. My girlfriends loved their party favors, and can’t wait to get together again next year. So cute! Love the bright colors! Really pretty! Absolutely loving the fun and vibrant colors!